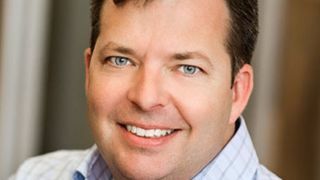 Mozilla has named Chris Beard Chief Executive Officer. Beard had been serving as Mozilla's interim CEO since April. Beard most recently served as Executive-in-Residence at Greylock Partners for less than one year. Prior to Greylock, Beard spent nine years in various senior-level positions at Mozilla, including Chief Marketing Officer and Chief Innovation Officer. Beard's predecessor, Brendan Eich, was appointed CEO of Mozilla, but quit the post after 11 days, after it was revealed he had made a 2008 donation in support of a ban on gay marriage in California. As a result of Eich's appointment, half of the Mozilla board quit their positions at the company. In addition to battling the government over net neutrality, Beard will have to move Mozilla into contention as the leading desktop and mobile browsing market. Firefox currently has 450 million users around the world, according to Mozilla. However, Chrome and Internet Explorer hold 46.6% and 20.6% of the global desktop browsing market share, according to StatCounter. Firefox is third with 20% of the desktop browser market share. Safari currently owns 46% of the mobile web browsing market share, according to NetMarketShare. Firefox has less than 0.25% of the mobile browsing market share and is not in the top five of the rankings. Mozilla recently redesigned Firefox, but was met with disapproval when it developed special ads for the tiles on Firefox's home page. The company is also working on building out its HTML 5 technology in the hopes that its Firefox OS can put Firefox OS devices on a level playing field with iOS and Windows Phone devices.